Roger Federer took part in Kids Day at the Australian Open, along with Novak Djokovic, Serena Williams, Victoria Azarenka, Ana Ivanovic, and Jo-Wilfried Tsonga. The players engaged the crowd, creating a fun atmosphere, and enjoyed themselves as well. The Swiss maestro sported a different Nike outfit, matching the new custom ZV9T iD shoes that fans voted for earlier this week. 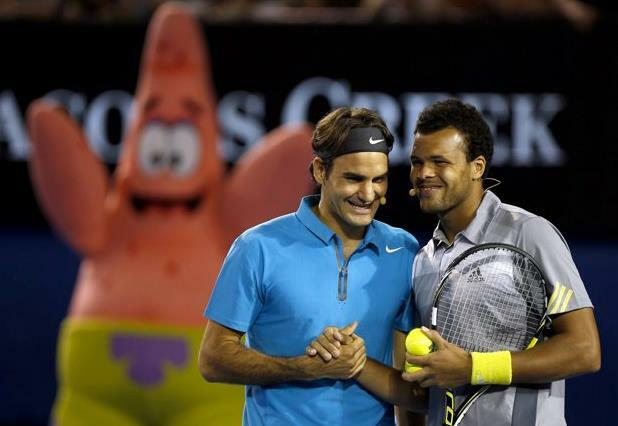 See his complete outfit for the 2013 Australian Open here.